Wall Street’s post-election rally suggests that many investors currently have the wrong idea about Donald Trump. They have decided he is a new Ronald Reagan, with policies that will deliver a major bull market. But those promoting this narrative have forgotten their history. Both men certainly share a link with the entertainment industry. But Reagan took office towards the end of one of the worst recessions in the 20th century. By contrast, Trump takes office at the end of an 8-year bull market. 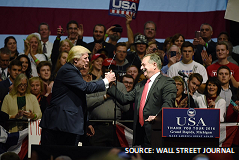  Fields personally told Trump of their decision to cancel the Mexican plant and invest in Michigan, saying “Our view is that we see a more positive U.S. manufacturing business environment under President-elect Trump and the pro-growth policies and proposals that he’s talking about”. 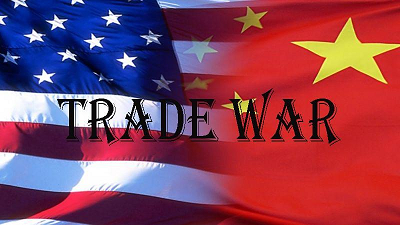 The reversal of US trade policies will impact companies all around the world. The White House website has already confirmed the planned withdrawal from the TransPacific Partnership – and from NAFTA, if Mexico and Canada refuse to negotiate a new deal. China is certain to be targeted as well. Protectionism will start to replace globalisation. Sometimes, as US writer Mark Twain noted, “History doesn’t repeat itself, but it often rhymes”. Nobody likes change, particularly on the scale that is taking place all around us today. Understandably, we prefer to live in a state of Denial. This is why “Impossible” is my Word of the Year for 2016. The word “Impossible” then became a more-or-less routine response after my February and March posts, warning that Brexit poll creates UK, euro, interest rate rise risk and Brexit vote will hit UK, Eurozone and global economies. Brexit was simply “Impossible”, I was told, as were major rises in interest rates. Yet benchmark UK and euro 10-year interest rates are already higher today than when I wrote 9 months ago, and will likely rise much further in 2017. There is no denying the pain created by today’s paradigm shift. Yesterday’s successful strategies are now becoming irrelevant, and will have to be completely rethought. Understandably, companies and investors instead found it much easier to follow the consensus and insist such a shift was “Impossible”. All those who hid behind the use of the word “Impossible” will now have to reverse course very quickly indeed. Even today, too many people still believe that Trump will abandon his policies now he has been elected. But common sense tells us this really is “Impossible”. He would risk becoming a lame-duck President if he fails to carry out the “contract between myself and the American voter” set out in his 100-day plan. The President-elect then announced Mr Liveris’s appointment as chairman of his American Manufacturing Council. Yesterday’s “Impossible” is now becoming today’s New Normal. But in 2016, “Impossible” was the Word of the Year. So there we are. After 5 years, the New Normal analysis has become the consensus. Liveris didn’t actually highlight changing demographics as the cause of the dramatic change over the past 5 years. But that moment is surely not far away. 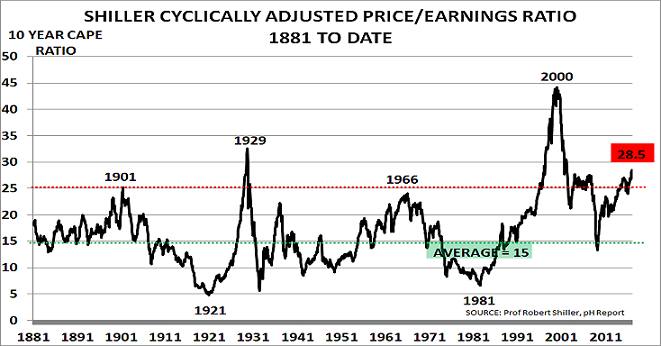 “Most of us should now just dismiss the pre-2008 economy as a vestige of history, that was a bubble. .. We’re living in a slow growth world. Its still a world economy that’s very spotty. You have to have targeted growth. “The US is the economy I feel best about,” said Liveris. “But its still 1.5%, 2%, 2.5% growth – it’s still not strong enough for all of us. This is exactly the message that the blog has been presenting, along with co-author John Richardson. This dual-focus on today and tomorrow is not optional. Companies who don’t invest in new products and services for the future, to meet the radically different needs of the New Normal, probably won’t have a future. “That left them with little potential patient capital (for investing in the future) and even much of that was held, tax-sheltered, abroad“.